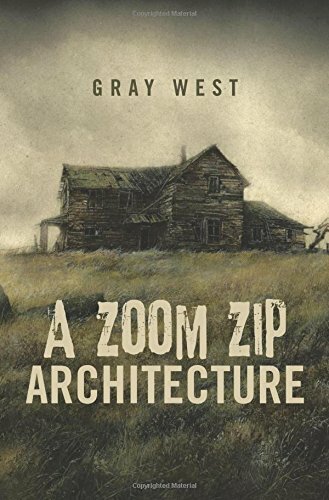 My first novel, A Zoom Zip Architecture, is now available from Amazon, Barnes & Noble, and other fine booksellers. There are three formats: hardcover, paperback, and Ebook. Right now, Amazon and the Google Play store seem to be the only ones carrying the Ebook version, but I expect it to show up in the other outlets sometime soon. If you happen to read it, please leave me a review, positive or negative. I would really appreciate the feedback! Zane Truax is a twentysomething with many advantages: he's bright, educated, and creative. So why can't he maintain some direction in his life? Is it the social anxiety or the misanthropy? Maybe it's the fear of spending his prime years as a pushy, business-suited go-getter with a midlevel career in marketing. He exists on the fringes of society, working menial jobs in order to survive. Along with his only friend, the panic-ridden but supportive Brock DeKalb, Zane fills his free time exploring lonely backroads and ruins of the American Midwest. But an unexplainable encounter in a crumbling prairie farmhouse changes his outlook permanently. He becomes determined to save his town's forgotten places from the developers who would destroy them forever. But how? With no money, powerful contacts, or social capital, can one person still make a difference? Not all ghosts can be seen. Sometimes they can only be felt. WEST LAFAYETTE, Ind. – Gray West enjoys visiting sites with interesting histories: notable houses, battlefields, old neighborhoods, and the like. They lead him to imagine the sort of lives the prior occupants led. Though he does not believe in paranormal ghosts, he is inclined to the idea that ghosts can exist in the form of memories, hopes, and dreams, and that they can affect people just as much as any spooky transparent figure could. This inspired him to pen his debut novel, “A Zoom Zip Architecture” (published by Xlibris). The gothic horror novel follows the life of Zane Truax. He fills his free time exploring lonely backroads and ruins of the American Midwest. But an unexplainable encounter in a crumbling prairie farmhouse changes his outlook permanently. He becomes determined to save his town’s forgotten places from the developers who would destroy them forever. But how? With no money, powerful contacts, or social capital, can one person still make a difference? A fun tale with a lot of unexpected twists and turns, the book touches on social science and looks at the idea of ghosts from a perspective other than the supernatural. Oh, you want me to tell all about my life story? Well, it’s pretty much too late to get into all that, but how ‘bout this: I was born in 1899 and then jus’ yest’rday I finally knew it was time for me to die. Time for me to go. I’m a hundred and two years old, and that’s about twenty-five years too long for some folks, apparen’ly. Born and raised in Central Indiana, Gray West was heavily involved in the urban exploration scene throughout his teens and 20s, visiting those abandoned farmhouses and forgotten cemeteries of his community. With his trusty notebook and video camera, he documented many curiosities that have since vanished. Today, he lives with his wife and three cats in a historic home alongside countless ghosts that seem to always disturb them in the dead of night. 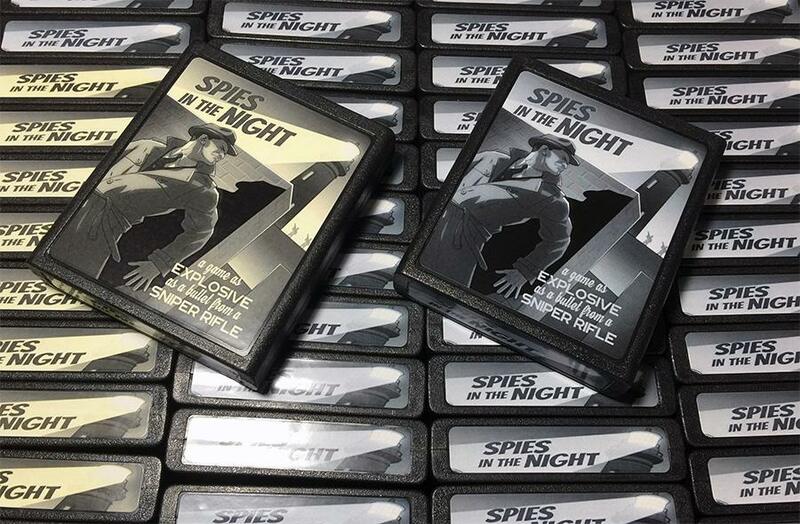 Spies in the Night cartridges have been printed! Scott posted this cool image to the Atari 2600 homebrews group on Facebook. There will be three versions: a standard package with cart and manual only, a deluxe package with cart, manual, box, and some extra goodies, and a "black" version that is the same as the deluxe package, but the background in the game has been changed to black which makes the gameplay a bit more difficult. Once the folks in the Facebook group have had a chance to purchase their copies, the remaining games will be sold in the marketplace forum of Atariage.com. 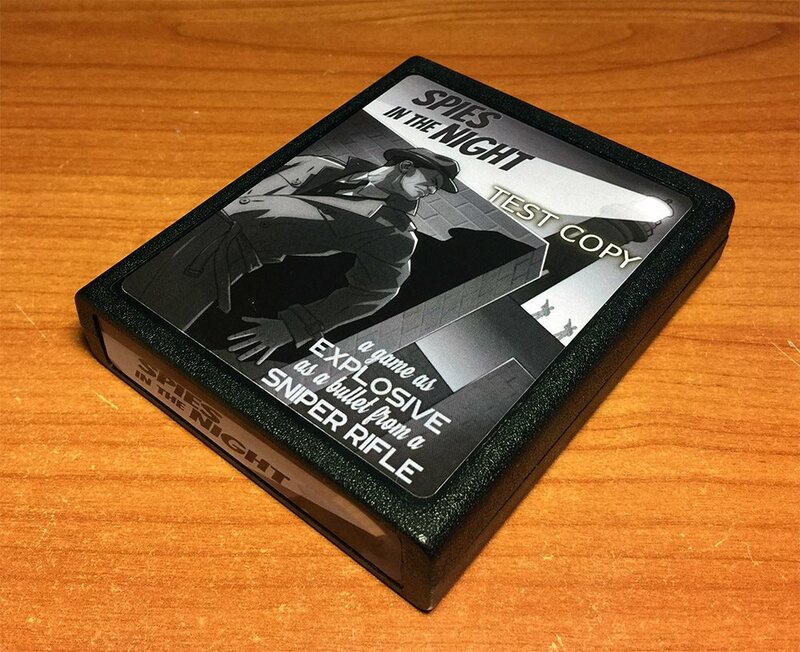 If demand for the game is high enough, Spies in the Night may be sold in the Atariage.com store as well. I'll update everyone when I know more details.